I just wanted to take this chance to wish you all a very Merry Christmas and a Happy New Year. The last five-six weeks have been tough for us as the kids have been ill non-stop, they have had an awful cough for the past five weeks which has resulted in me having almost six weeks of broken sleep due to non-stop nighttime coughing fits. Sophia has had a chest infection which is always a worry as she has asthma and has been on antibiotics. Jacob has had some kind of flu-like virus which wiped him out for a week and then he ended up going to the hospital with croup. The dreaded sickness bug also struck our house and I spent days cleaning up projectile vomit from the little two. My teen has been unwell too with a cold and had problems with her eyes again and myself and the other half have both been full of cold and coughs too. We have had to cancel so many of our festive plans recently and I am so behind on emails and work but it can all wait until the new year. Can you believe that 2018 is almost over? This year really does seem to have passed by so quickly, as the year is coming to an end I have naturally been thinking about the year ahead and of the goals I want to achieve in 2019. 2019 is a big year for me as I will *finally* be getting married in June and with this in mind, I am determined to stick to my goals for next year as some of them centre around the wedding. 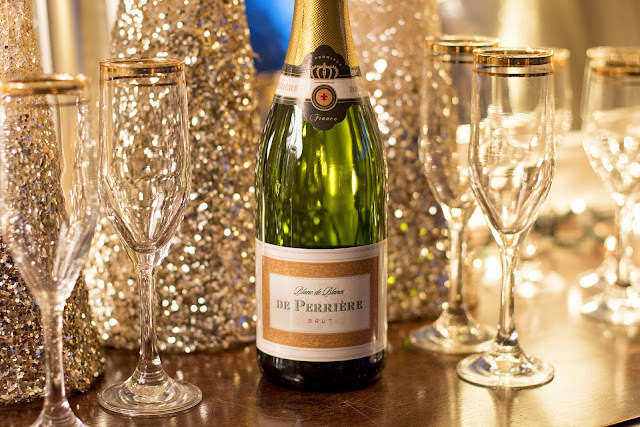 I love New Year, it always seems like a fresh start when you open a calendar and see 365 new days to create memories on. 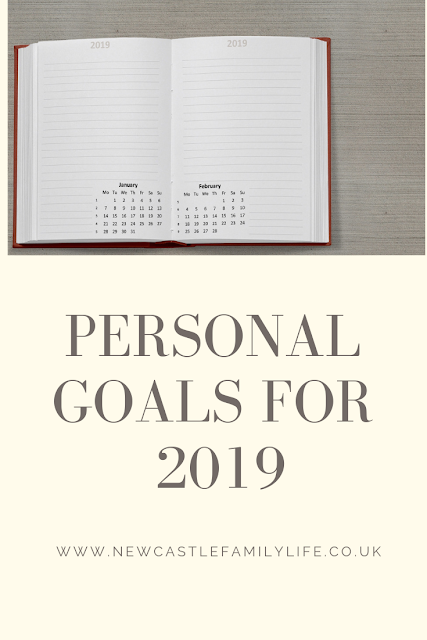 Now that my children are getting older and all go to school I have decided that in 2019 I am going to make more time for myself and 2019 will be the year that I hopefully get my act together and get sorted as I am forever chasing my tail and winging it in life, motherhood and this whole blogging world. So without further ado here are my goals for the new year. Elf the movie is without a doubt my favourite Christmas film, we watch it every single year and the whole family really enjoy it - even my 4 and 5-year-old. It is a film that never fails to get me in the festive spirit and that I don't think I could ever get bored of watching. 'The best way to spread Christmas cheer is singing loud for all to hear'. Can you believe that the film is now 15 years old? My eldest was only one year old when it was released so she has grown up watching the film, we have watched it so much over the years that our copy of the DVD was all scratched and glitchy. 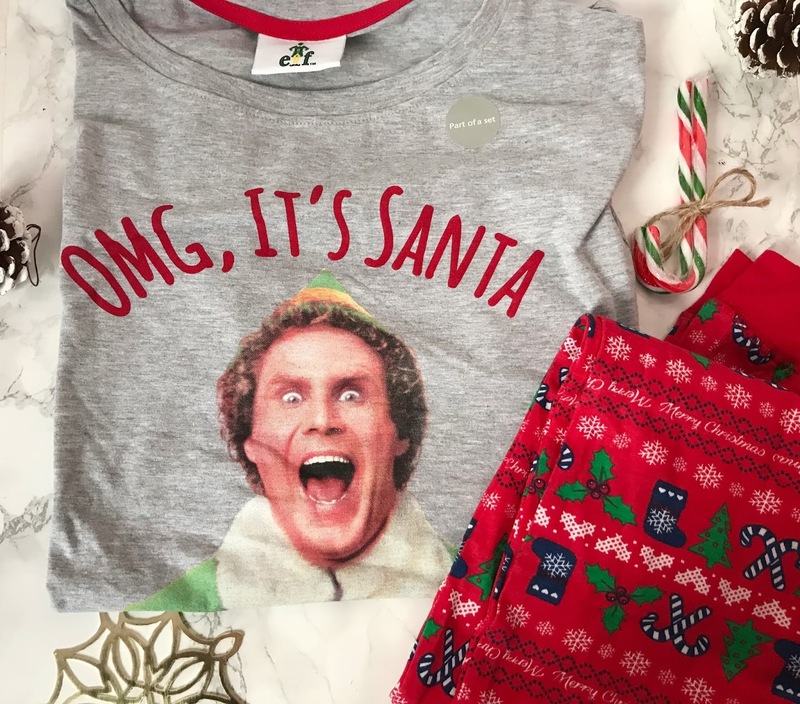 However, we were super kindly sent a copy of the DVD along with the most perfect Christmas PJs from New Look featuring none other than Buddy the elf! Both myself and my teen love New Look PJs, they are always super comfy and wash well making them the perfect gift idea. The Elf PJs consists of a grey short sleeve t-shirt top with Buddy's face and the words 'OMG! It's Santa. I know him, I know him'. The PJ bottoms are red and very festive with candy canes, Christmas trees, Stockings, Holly, paper chains and snowflakes on. Christmas, the most magical time of the year filled with lots of family time, festivities and yummy food. 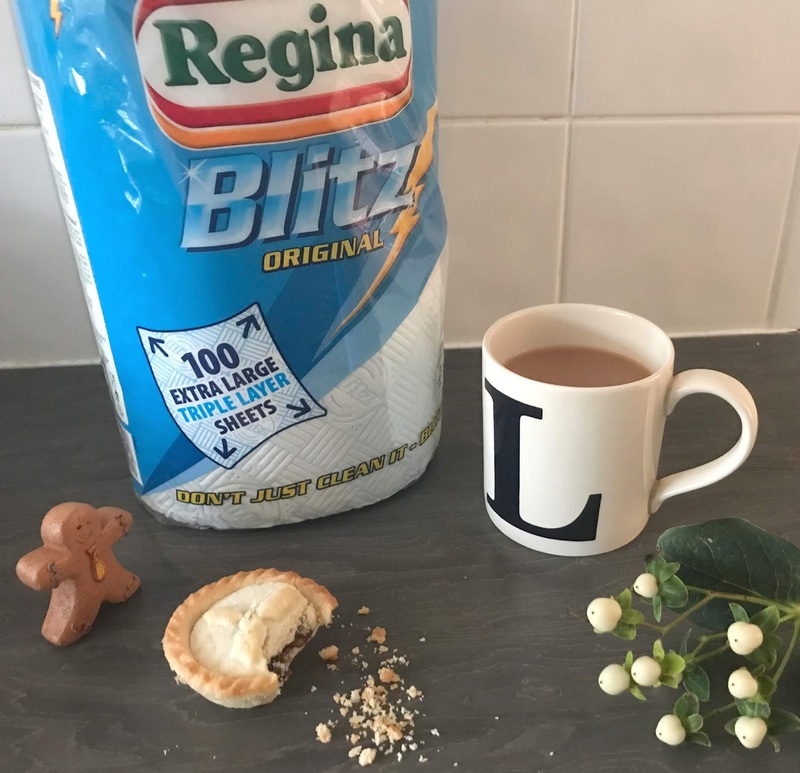 Like most parents, I am on the Christmas countdown and really looking forward to seeing my children's face's light up when they get that longed for toy, lazy days watching films together, visits with loved ones and all the festive build-up and activities that the big day brings. However, I am sure I am not alone when I say I am also feeling a bit overwhelmed by it all too as I still feel like I have so much to do and I haven't even started on getting the house in shape for Christmas yet. Last weekend we were invited to Whitley Bay Playhouse to see this year's pantomime, Peter Pan. Produced once again by Blue Genie Entertainment and starting Anthony Costa from Blue as Captain Hook and Playhouse legend Steve Walls as Smee along with last years favourite Ben Hanson (Bouncer in Tracey Beaker) as Starkey and lots of returning Playhouse panto cast members. We could not wait to see the show as we have really enjoyed previous years and it is the perfect panto for the whole family to enjoy. Following on from the gifts for teens post that I posted the other day I have put together a post for gifts for young girls aged 5-8 years old. 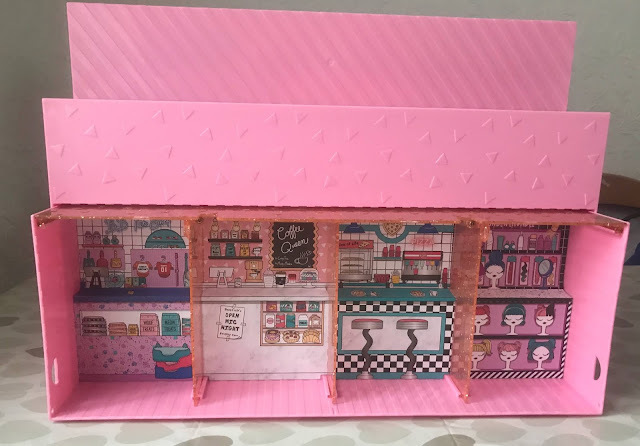 I have a five-year-old daughter and I love shopping for gifts for her as I find it so easy to buy for her now, she is really into Barbies, L.O.L's, Unicorns and anything creative. However, I know that some of our family find it hard to buy for her and there is so much choice for children in this age range. So here is a look at some gifts that I am sure young girls would enjoy this Christmas. Last year Premier League Writing Stars was launched and the competition was a huge success with over 25,000 entries so this year it is back and hoping to be just as (or hopefully even more) popular. This year the theme is diversity and primary school pupils are encouraged to get creative and write a poem on the subject of diversity and there are some great Premier League related prizes up for grabs for those taking part. The idea behind Premier League writing stars is to get primary school children interested in poetry and to have a go at writing their own poem. The fact that the campaign is backed by top Premier League football clubs that many young children support helps get some pupils interested, especially as they can win some amazing Premier League related prizes for their school by taking part in the poetry competition. Writing Stars is part of an educational program called Premier League Primary Stars, which is free for teachers to access and has lots of resources for key stage 1 and 2. As a parent to a 16-year-old daughter I know how tricky it can be buying for teenagers, our family really struggle buying gifts for her and I often end up taking her shopping with me to buy some of her own gifts. If you are struggling on what to buy a teen this Christmas then I have created this Christmas gift guide with some ideas of gifts that teens are sure to enjoy. On Saturday we had the most magical day at one of my favourite Christmas days out here in the North East, we were invited to Whitehouse Farm to see Santa. The children were so excited and chatted away excitedly in the car all the way there as they wondered if Santa would say they were on the naughty or nice list. Pulling up in the car park nice and early we wrapped up nice and warm and made our way into the farm to see what this years, all new Santa Experience was like and how it would compare to last years Winter Wonderland event. Christmas is coming and I am sure if you have older children game consoles or video games feature on their Christmas list this year. If your children have an Xbox or have asked for a one for Christmas this year then I have the perfect giveaway for you to win a 6 months subscription for Xbox Game Pass worth £48. Perfect for letting gamers play a variety of games online and see which ones they enjoy, it is sure to be popular with gamers young and old. 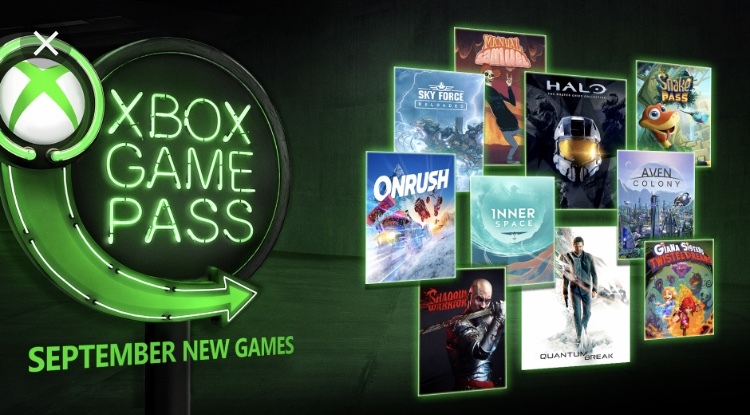 So what is an Xbox Game Pass subscription? I don't know about you but I always struggle when it comes to buying gifts for the men in my life at Christmas time. They never ask for anything and finding something that I know they will like and that is a bit different from the usual ideas such as gift sets, socks and slippers can prove difficult at times. So I have put together a gift guide filled with some ideas that you may find useful. This weekend Fantastic Beasts Two, The Crimes of Grindlewood hit the cinemas and my partner and teen were lucky enough to see it on Saturday (I was meant to go but was stuck at home with a poorly child). As JK Rowling fans will know Fantastic Beasts is a spin-off to the Harry Potter films, featuring magical creatures, spells and lots of spellbinding moments. So wizard fever has been at a high recently, with Harry Potter films recently being showing on TV and a whole new audience discovering the delights of Hogwarts and magic. My five-year-old daughter Sophia has recently discovered Harry Potter and she absolutely adores it, She has watched all the films and she has asked for Harry Potter gifts this Christmas. I think she is secretly hoping for an owl like Hedwig or a letter inviting her to join Hogwarts and meet Hermoine but the chances of that happening are rather slim. Luckily she was sent the next best thing, Hermoine's wand! Christmas is coming and I for one can not wait, it really is my most favourite time of the year. The shops are full of Christmas gifts and people are starting to get Christmas gifts for loved ones. I know that sometimes finding that perfect gift can be a bit of a struggle so I have decided to do a gift guide full of gifts for the women in your life, which will hopefully give you a bit of inspiration. Now that we are half-way through November I am starting to get organised for Christmas, the most magical time of the year. I have been thinking of what to buy my own children for Christmas this year and we are struggling a bit with our little boy this year as all that he has asked for is a squishy, which costs a few pounds. He is four so he is also a bit too young for some toys and a bit too grown up for other toys, I think we will be getting him some lego and superhero stuff as he loves Avengers and Batman. 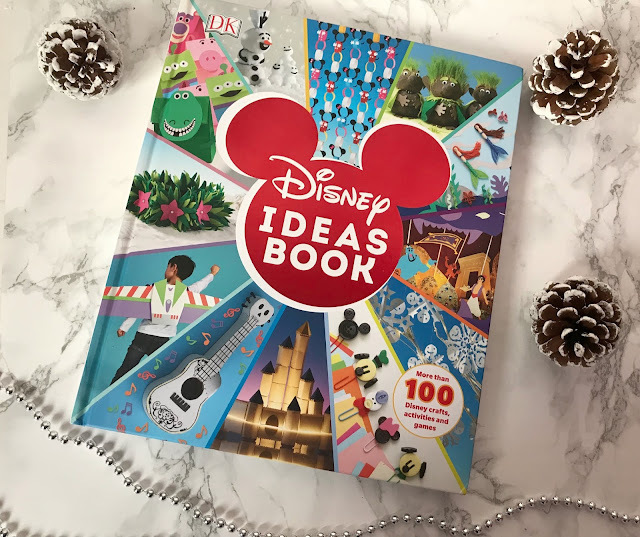 I have also put together a Christmas gift guide for boys aged 4-6 years of age with some ideas of gifts I know my son will like. 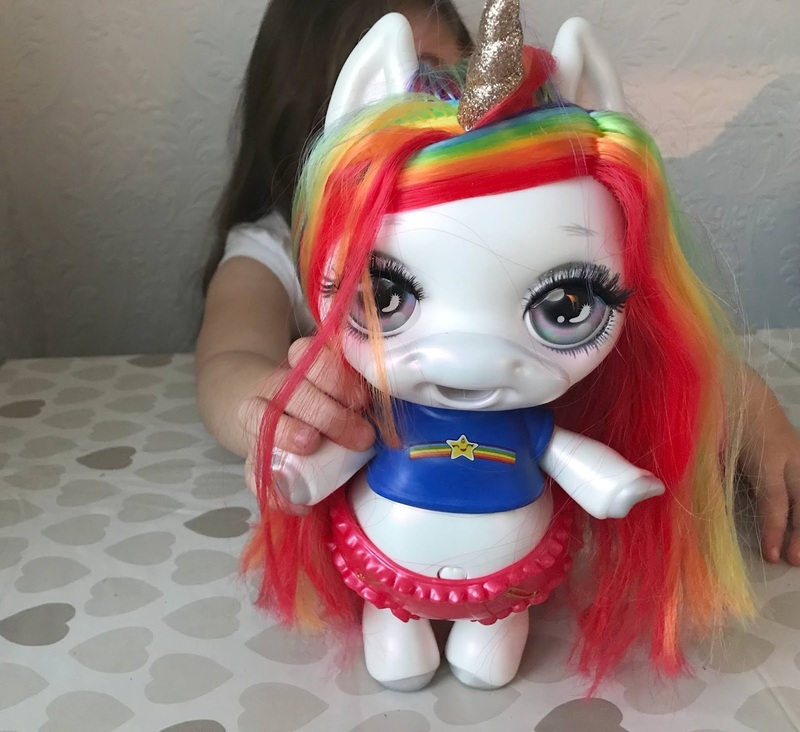 My little girl Sophia is five and like a lot of children her age she really likes Unicorns, rainbows and slime so hot new toy Poopsie Surprise Unicorn sounded right up her street. Tipped to be one of the must-have toys this Christmas it really does sound like a great idea, a surprise unicorn toy that is rainbow coloured and makes glittery slime. Her little face lit up last week when we were sent a one to review and she could not wait to get to work making slime with her new unicorn friend. This week on Other Bloggers Family Lives I am featuring Lauretta who blogs at family lifestyle and travel blog Home and Horizon. Lauretta blogs about family life with two children, her home and travel and adventures her family have been on. So let's find out more about the family behind Home and Horizon. Now that we are almost halfway through November it is safe to talk about Christmas, the most wonderful time of the year. My children are super excited and they have already posted their letters to Santa with gifts they really hope they will be lucky enough to receive. 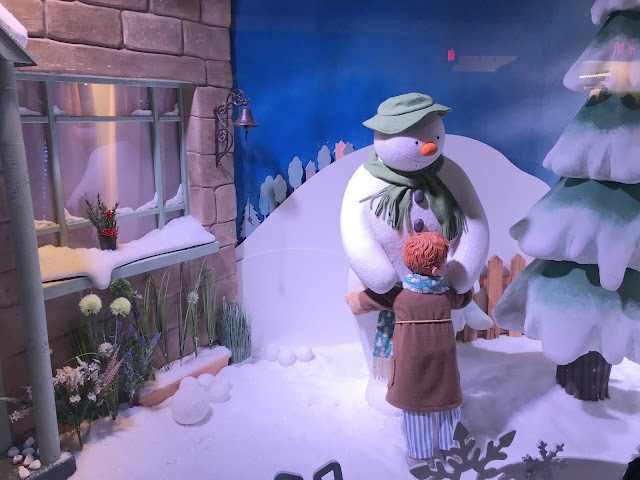 Fenwick's window has been revealed, the Christmas lights on Northumberland street have been switched on and the Christmas market is opening in a matter of days. Christmas has well and truly arrived in Newcastle, however, if you're a bit of a last minute planner like myself you might be wondering where you can go to see the Santa, as most of the Santa experiences and Grottos in the city centre sold out weeks ago. 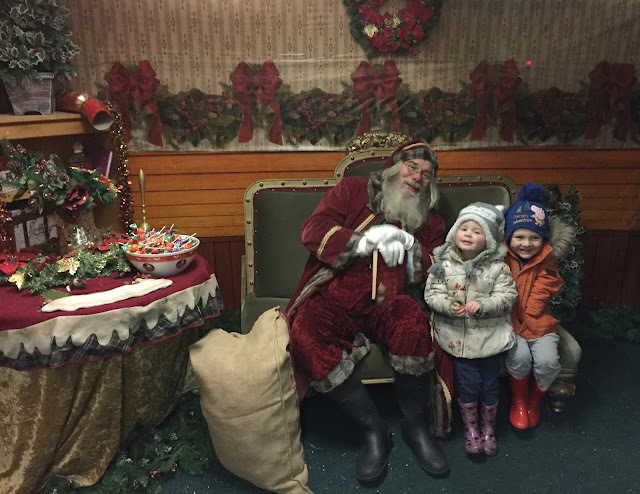 Well, I have found five Santa experiences that still have availability near Newcastle this year. 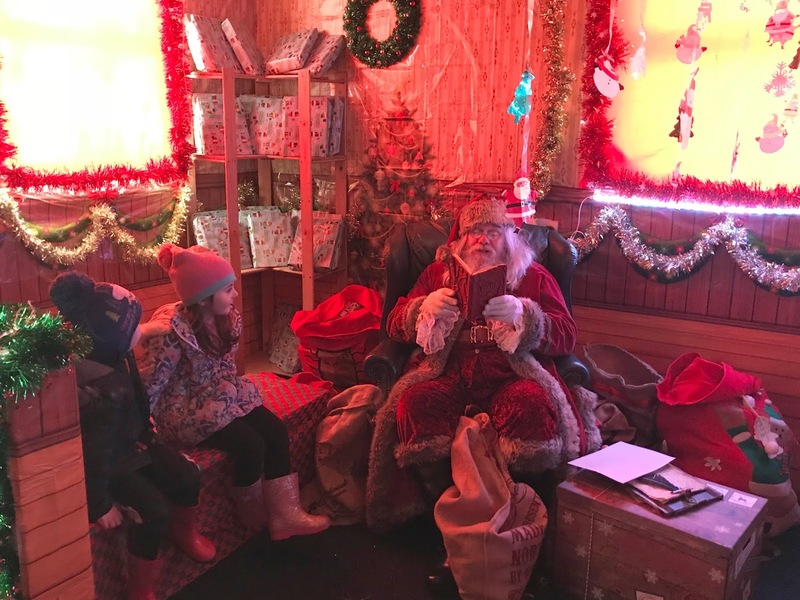 My lovely blogging friend Zena has also written about places you can see Santa in Nottinghamshire if live near there too. 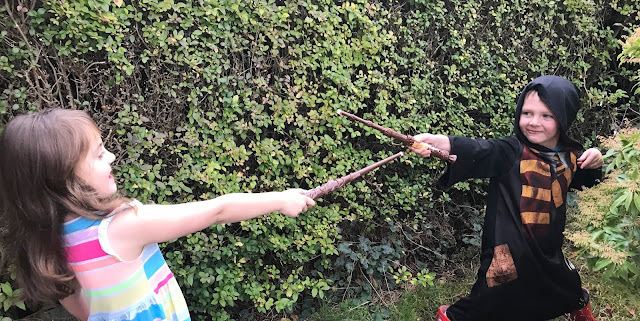 We are huge Harry Potter fans in our house, myself and my partner have the read books and watched all the films (multiple times), my teen loves the films and now even my 4 and 5-year-old enjoy watching too. My partner is so excited about the new Fantastic Beasts film coming out at the cinema at the weekend, he has already got tickets to go and see it next week. 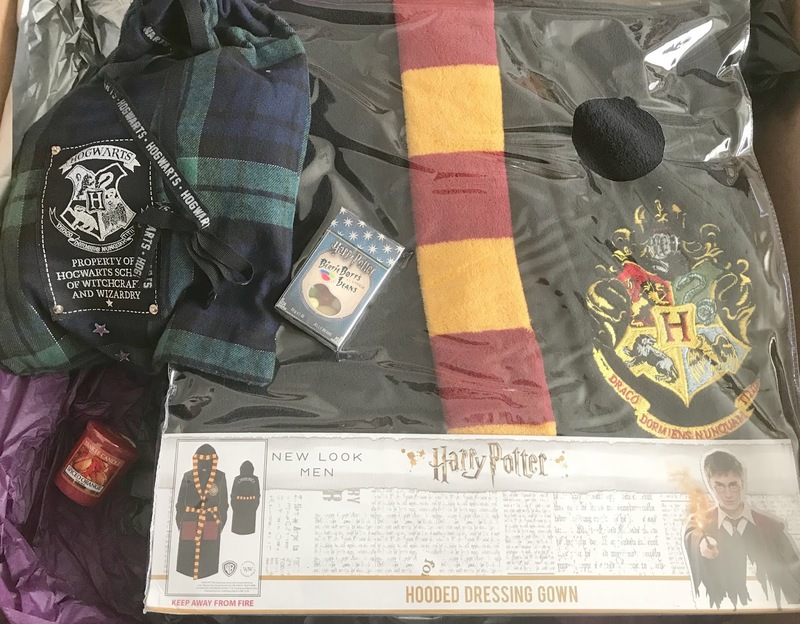 So I was delighted to find out that New Look has brought out a great range of sleepwear for us grown-up Harry Potter fans, with items for both men and women. 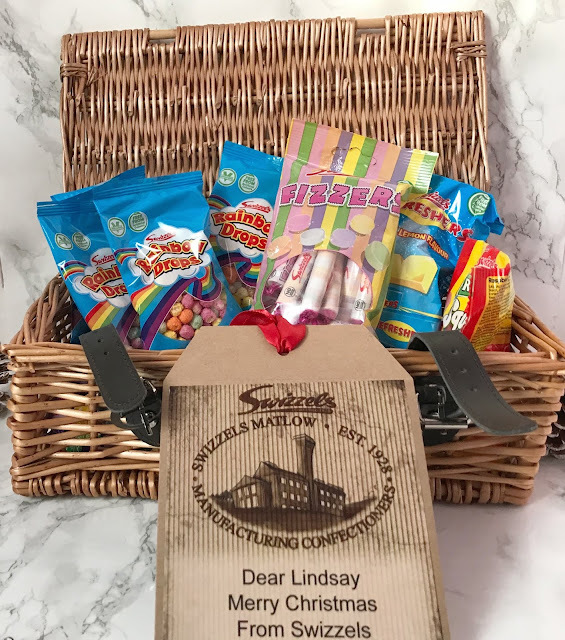 Perfect for snuggling up on the colder winter nights and re-watching the films over the festive period - something we do every year in our household. I was lucky enough to be sent a few items from the new range to see what we think. It is crazy to think it is now November, it honestly feels like it was only the start of the year just a few weeks ago and not eleven months ago. November is one of my favourite months, it is my birthday and the countdown to Christmas is well and truly underway, we have lots of lovely things to look forward to this month. October was an ok month for us as a family, it was my eldest birthday, we had a few nice days out and lots of family time over half-term which was very much needed. The reason I started this blog was to record our family life, hence the name of this blog so here is a little look at what October was like for us. My little boy Jacob recently turned four and he is really into any kind of vehicle, planes, trains, lorries, cars and trucks fascinate him and he really enjoys playing with toy ones. So he was the perfect candidate to test out the RC Dozer Racer remote control car which Little Tikes recently sent him to review. Tearing apart the box as soon as he set eyes on it as he was so eager to play with the remote control car inside, he could not wait to see what the RC Dozer Racer could do. This week on Other Bloggers Family Lives I am joined by Han-Son who blogs at Daddilife and lives in London. So let's find out more about the family behind Daddilife. October was an ok month for us, the children have settled in well at school and we are slowly getting used to our new routine now all three children are at school and we were so ready for half-term. My eldest turned 16 this month, we did a lot of wedding planning and we are now on the countdown to Christmas. I love this time of year as I am such a homebody and love an excuse to stay home now the nights are darker, we have been watching the Harry Potter films with Sophia as she totally loves them and is adamant she will be off to Hogwarts when she is older. This week on Other Bloggers Family Lives I am joined by Jo who blogs at A Rose Tinted World. Jo lives near Leeds with her partner and little girl and she blogs about being an older mother, stress busting, sewing and her family life. So let's find out more about the family behind A Rose Tinted World. Now that all three children are at school and the other half no longer works weekends we always make the most of the weekends and Saturday night is always family night. 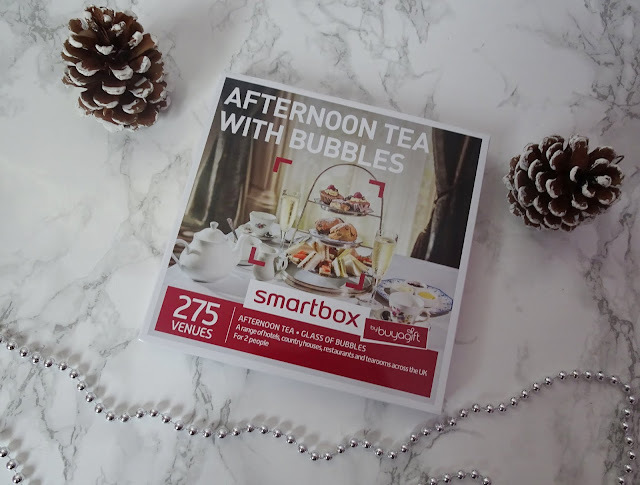 We often watch a film, enjoy some treats or a Saturday night take away and just enjoy spending time together. 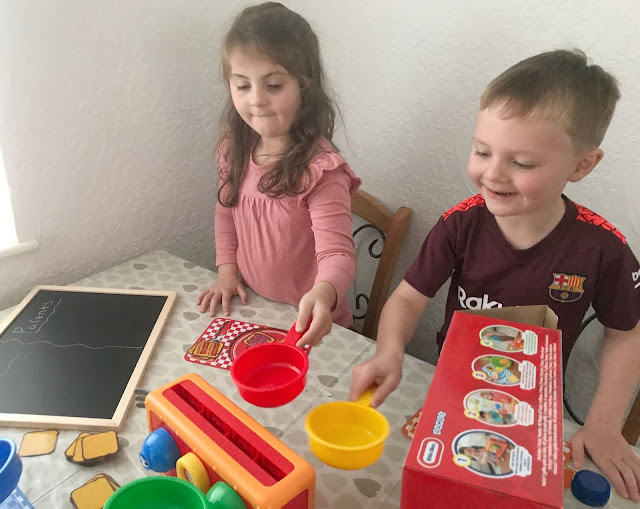 Now that the children are getting a bit older they have started to take an interest in games and they have a few board games they will often ask us to play with them, normally on a Saturday evening when they know we all be together. So when Little Tikes got in touch and asked if we would like to take part in a kids vs adults game challenge we thought this sounded perfect. 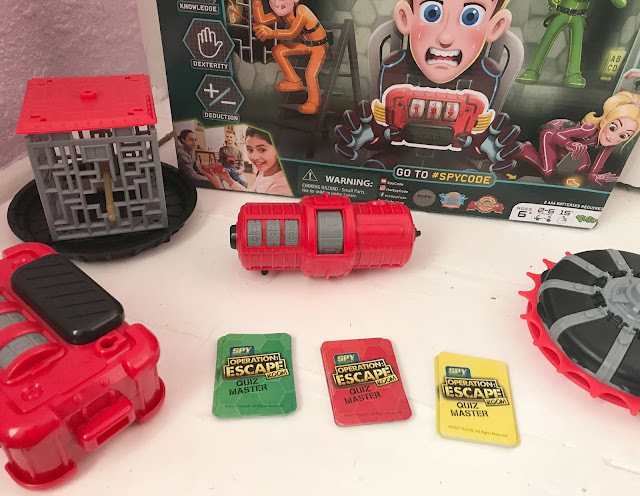 We were sent two new Little tikes games to play, Crazy Toaster and Hot Hoops and the children could not wait to rip open the boxes and have some fun! Christmas is always so much fun, but there's one thing that can really bring things down and that's another boring festive party venue. 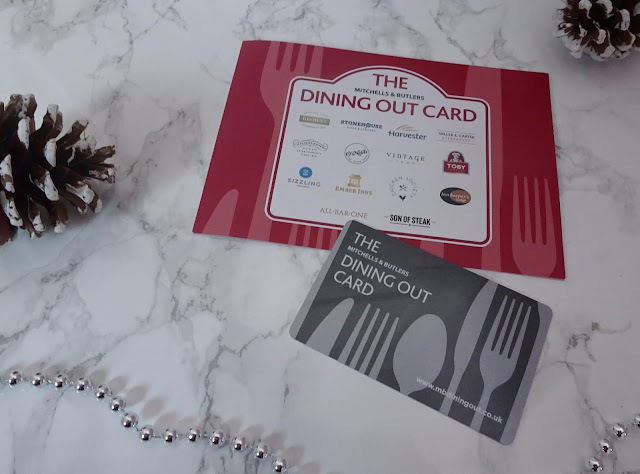 So many people just seem to plump for anywhere that's available or that caters to the dietary needs of the whole group, but it doesn't take a lot of effort to find somewhere more exotic to ring in the jolliest season of the year. I've discovered some fantastically unusual and eclectic venues that offer private hire, throughout the UK, which will have everyone singing their favourite carols before they know it! This September my only just turned four-year-old little boy started school, just like his two big sisters. Obviously, as he has only just turned four I am a little worried about how he is going to cope with full-time school, being one of the youngest children in his year group. Before he went, we had everything set for him starting school, the uniform has been bought, he has met his new teacher and visited his new classroom and luckily he will be in a class with lots of his friends from nursery school. We really hope he gets off to a good start and enjoys school as much as his two sisters have done. 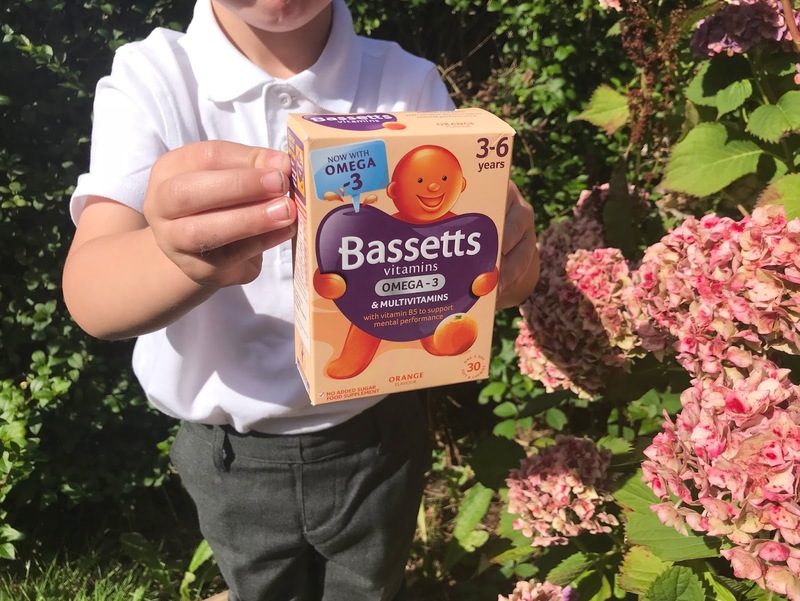 During the past week, I have been giving Jacob and his five-year-old sister recently launched Bassetts Vitamins Omega-3 + Multivitamins orange flavour pastels. Each soft and chewy vitamin contains Vitamin B6 which helps support normal psychological function and Vitamin B5 which contributes to mental performance, helping children feel ready for the new academic year. It is now only 8 months until I get married, last month I was feeling very stressed about the whole thing and I still am a little bit, however, things are starting to come together nicely and we have had a busy month wedding wise this month. We also sat down and worked out what we have to pay, when it needs paying etc and worked out how we can pay for everything as we have gone massively over budget so far. The only thing we need to try and save for is my dress as I have spent most of the wedding dress fund -ooops, and we need to save for the evening food and stationery as I forgot to budget for those. At the start of the month we went to a wedding fayre at Newcastle racecourse, unfortunately, there were not many suppliers there as it was mostly venues, photographers and transport companies which we don't need as we already have all of that arranged. We did speak to a suit company, good old Slaters and I think the other half is going there for the suits in the new year. Welcome back to this weeks instalment of Other Bloggers Family Lives, my guest post series to find out more about the blogger behind the blog. 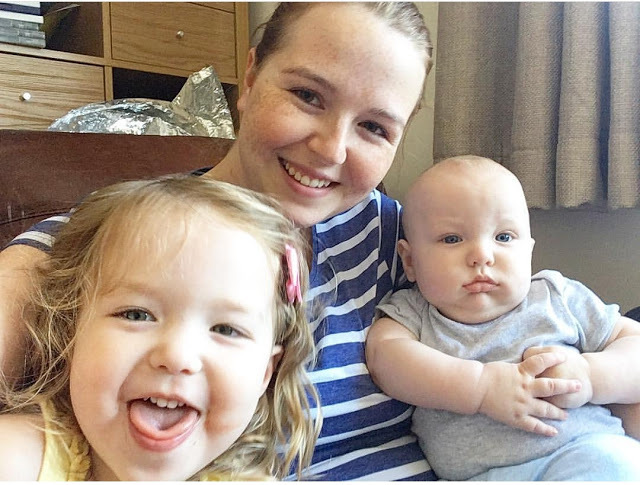 This week I am featuring Stacy who blogs at Mom of two and lives in the West Midlands with her husband and two young children, Stacy writes about her family life. So let's find out more about the family behind Mom of Two. I love Christmas, its the most magical time of the year and as a family we get so excited for it. I have already started my Christmas shopping, the children have sent their letters to Santa, we have some festive activities planned and we have been thinking of what festive food to buy. Last year we were lucky enough to receive a Christmas hamper from Prestige and this year we were lucky enough to be sent another one to review. 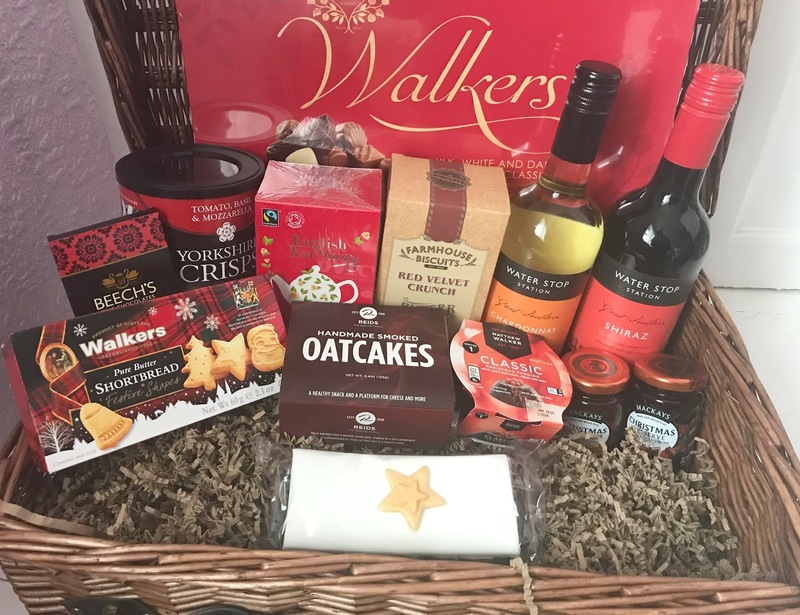 We were sent the Traditional Gift basket, which is exactly how you would imagine a Christmas hamper to be. A dark wicker basket with leather look handles and fastening makes this hamper look luxurious and oh so traditional, when the basket looks this good you know you're in for a treat before you even open it and discover the contents inside. 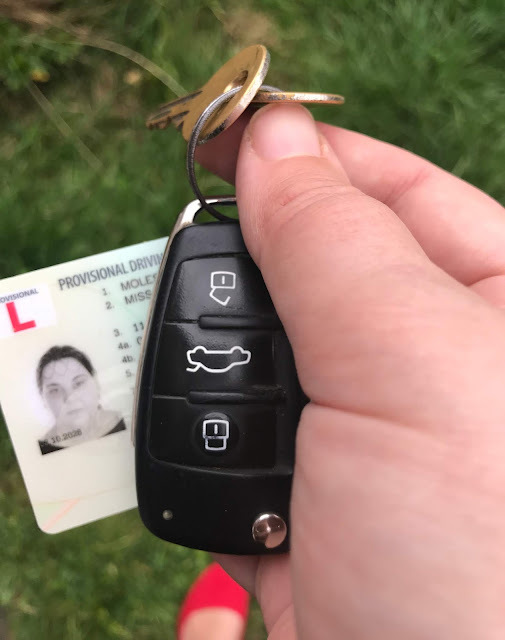 At the grand old age of 34 years of age (very almost 35), I have decided to learn to drive, you are probably wondering why on earth I have never learnt to drive before now. It is quite rare for mums my age to not be able to drive and not being able to drive has been such a challenge these past few years. Juggling a toddler, baby and child on a bus if I wanted to go anywhere in the past was not fun, or all the times I had to miss days out as I simply couldn't get to where we wanted to go as I couldn't drive was not fun either. I have felt isolated and a bit left out not being able to drive, always having to rely on lifts or catch multiple buses or costly taxis to get to where I want to go. 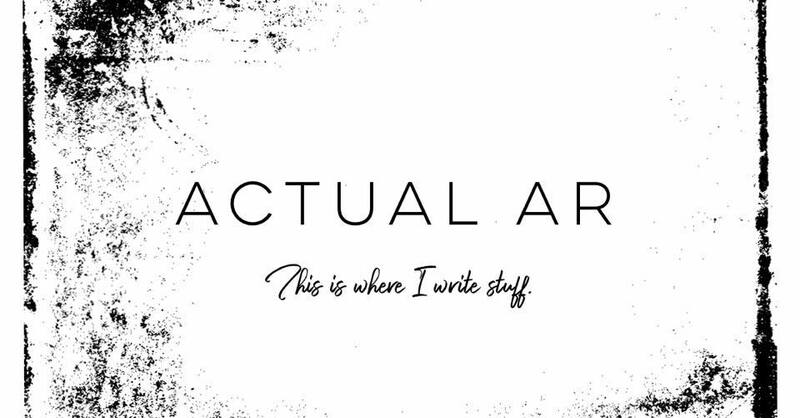 Welcome to another week of my guest post series Other Bloggers Family Lives, this week I am featuring Actual Ar which is a North East based lifestyle blog. 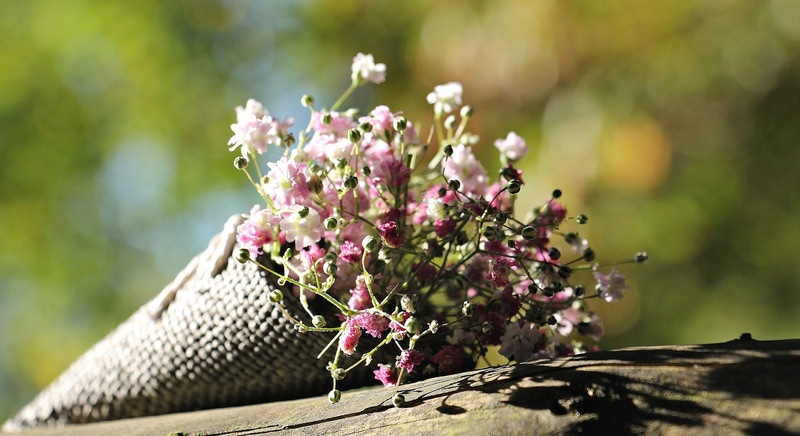 Featuring lifestyle post, writing tips, and creative writing stories and poems. So let's find out more about the family behind Actual Ar. Saturdays are family days in our house, now that all three children are in full-time school and the other half no longer works weekends, we really try and make the most of our weekends together and normally venture out somewhere on a Saturday. This Saturday we headed into Newcastle as we had some birthday shopping to do for my eldest birthday next week. We were also kindly invited along to Las Iguanas on Grey Street in Newcastle (just down from the Theatre Royal) to try out the new menu. Welcome back to another week of Other Bloggers Family Lives, my guest post series where I find out more about other bloggers. 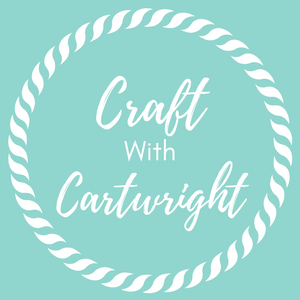 This week I am joined by Ruth who blogs at Craft with Cartwright a lifestyle blog featuring lots of crafts and recipes. Ruth lives with her husband and two sons in the West Midlands. So let's find out more about the family behind Craft with Cartwright. My eldest daughter is turning sixteen in two weeks time, she is in her final year of secondary school (year 11) and will be taking her GCSE exams in the summer. After school she is still not entirely sure what she wants to do, she wants to head off to college to continue her education but every week she changes her mind on which subject she wants to take. One minute she wants to do A Levels in Art and History, the next she wants to do a digital marketing course and last week she wanted to be a physiotherapist. She honestly has no idea what she wants to do and I often worry she feels a bit overwhelmed and lost by it all. This is where National Citizen Service comes in, you may remember I wrote about NCS back in the spring, if you missed it you can read it here. 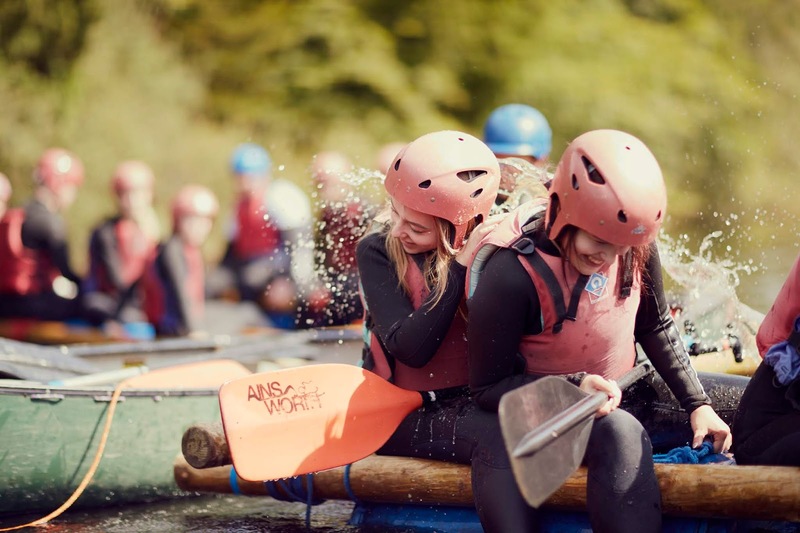 NCS is a government back programme for 16-17 years olds to take part in that helps prepare teens for life after school, with team building exercises, a residential trip that will help teach life skills and a community action based project to help the teens of today become better citizens. Pirates Village is a family-friendly hotel based in Santa Ponsa, Majorca. If you are a regular reader you will know this is where we went on our family holiday back in May (which we paid for ourselves) and I have previously written a review of the hotel and a post all about the all-inclusive food and drink at the hotel as well as a more general holiday post and a bit about Santa Ponsa. We had such a wonderful holiday at Pirates Village and I would 100% recommend it to anyone with children aged 3-10 as it is ideal for children in this age group. 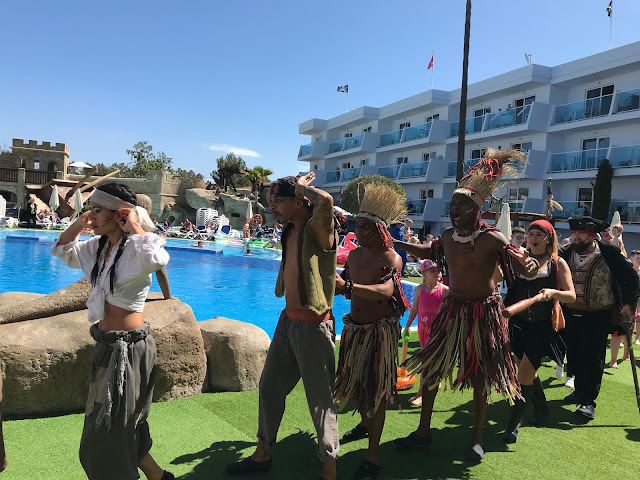 So I thought that I would sum up ten reasons why we really liked Pirates Village and why you should visit for your family holiday. 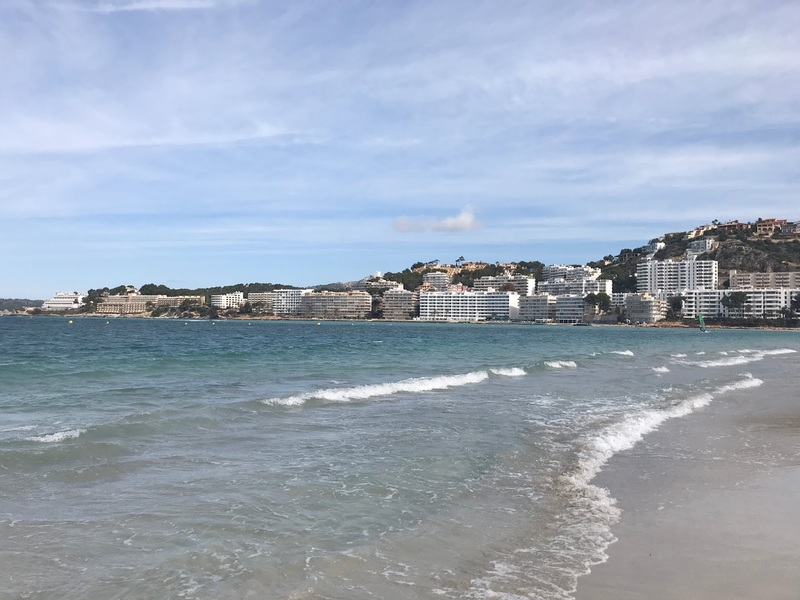 Majorca is one of my favourite holiday destinations, I have visited the island twice now and I am sure we will revisit again one day soon as it is the ideal destination for a family holiday. When we were deciding where to go for our first family holiday as a family of five we picked Majorca for a few different reasons and I was so glad we did, it was ideal for the little two's first holiday abroad. Majorca is not the cheapest family holiday destination but for us, it was worth every penny. 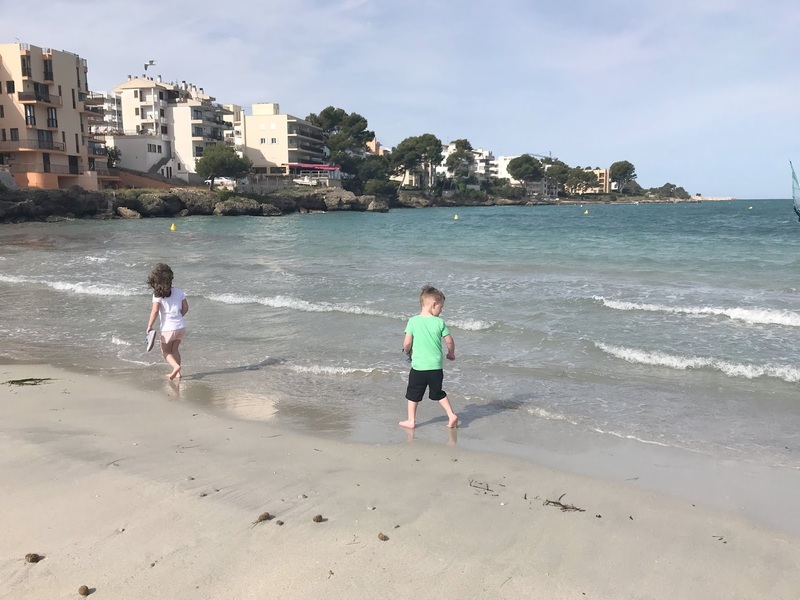 So here are some of the reasons why I think Majorca is the perfect family holiday destination. Disney on Ice is back in town with this years show Dream Big and we headed along to Metro Radio Arena to see the show for ourselves on opening night (on Tuesday). We are huge Disney on Ice fans in our house, I must have seen at least ten shows over the years as I used to take my eldest when she was younger and for the past four years, we have taken Sophia (aged 5). No matter how many times we have seen Disney on Ice we always enjoy the show and find it rather magical, this year was no exception - in fact, I think I would go as far as to say it was probably my favourite show to date! The show started at 6.30pm and Tinkerbell burst onto the stage closely followed by Mickey, Minnie and the gang to get the packed audience up on their feet and dancing for the warm-up. Sophia and her friend were mesmerised from the start as they looked on in wonder with pure joy written all over their little faces. 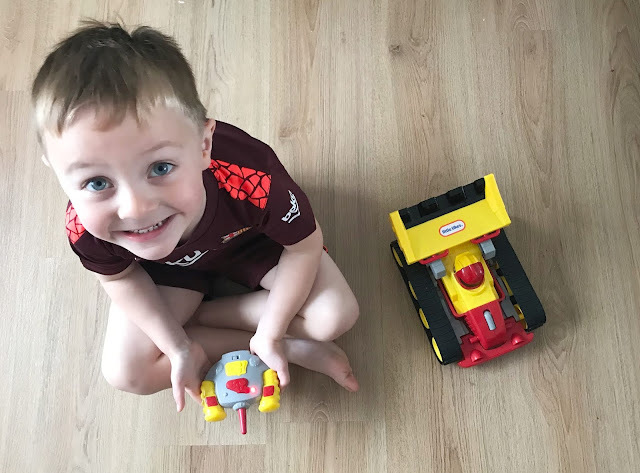 Welcome back to my guest post series Other Bloggers Family Lives, I ran this series for two years before taking a bit of a break over the summer as I took a bit of a break from blogging to spend time with my son before he started school. I decided to bring this series back as it was always popular and I love finding out more about the bloggers behind the blogs I read. 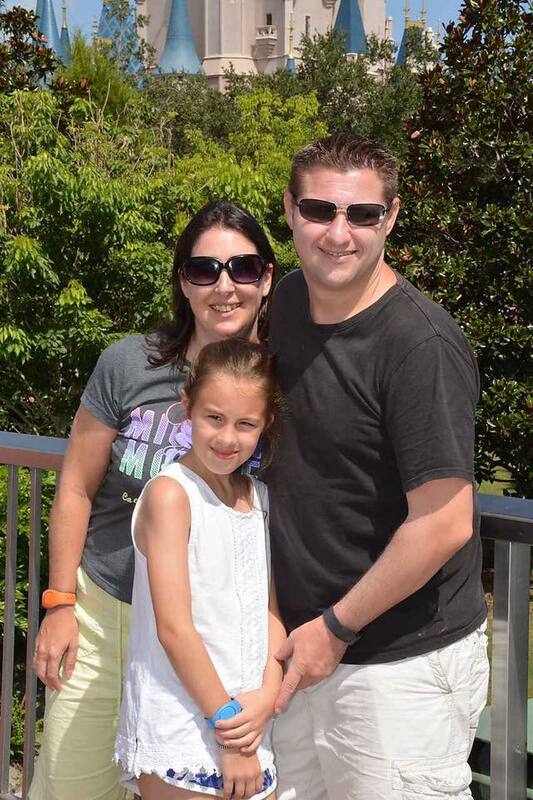 This week I am featuring Angela who blogs at The Life Of Spicers which is a family lifestyle and travel blog. It features family adventures with her husband and daughter and lots of Disney related posts. So let's find out a bit more about the family behind The Life Of Spicers. 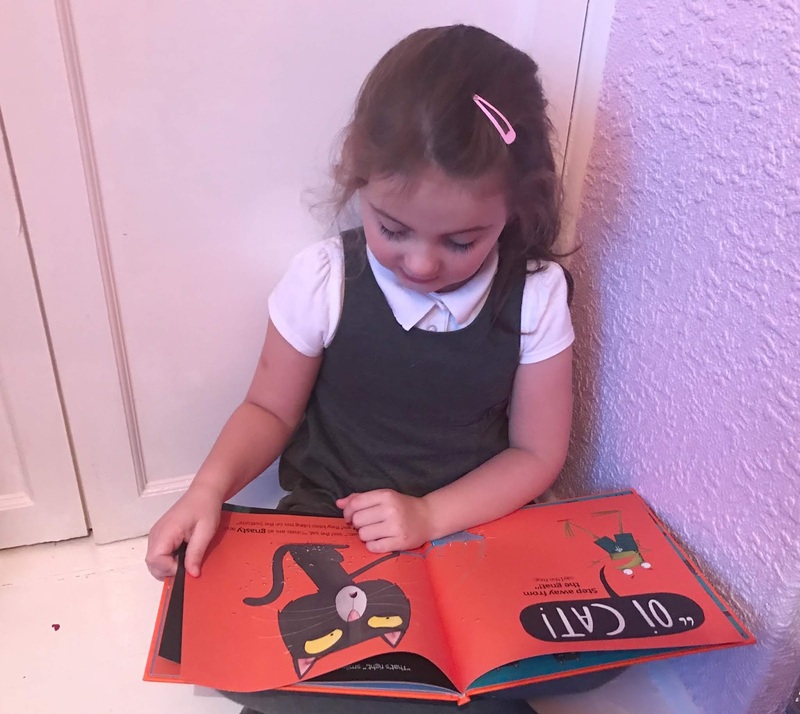 September seems to have flown by so quickly, it really doesn't seem like the children have been back at school for a month already. September was a month of big change for us, as all three children are now in full-time school. It is taking some getting used but we are starting to find a new routine, although I am still finding it so strange not having any children at home during the day and having the house to myself. As the children were returning to school and we were adjusting to new routines we have not done a lot in September. The children are tired after school and have been preferring weekends at home in the warmth then days out on the weekends. This month seems so boring compared to last month, but here is a look at some of the things I loved in September. It is now only nine months until I get married and I am starting to panic slightly! When we booked our wedding last summer we had two whole years to plan our wedding and for the first year, we pretty much did nothing as we thought we had ages of time. Earlier this year I booked all of our main suppliers such as the photographer, cake maker etc. Since then we have also booked the florist, videographer, sourced stationery and give notice of marriage at the registry office. But we still have so much to do and now it is only nine months away I am majorly starting to stress out! I still don't have a dress, rings or suits, we haven't had the menu tasting yet and we haven't written a guest list. I still have so many decor bits to source and arrange and we have so much saving to do too as we are paying for everything apart from the venu hire and cake, which were gifts from our parents. Unless you have been living under a rock lately than I am sure you have heard of Mrs Hinch, the Instagram cleaning sensation. She lives in a beautiful and super clean home and she shares cleaning tips on her Instagram stories earning her heaps of followers and stores are selling out of the products she uses. She really is just a normal woman sharing how she cleans her home each day but everyone is going crazy for her and she has inspired a whole new generation of women (and men) to get their clean on #HinchArmy style. She even appeared on This Morning recently, she is that popular. Back in May, we went on holiday to Majorca, staying at Pirates Village hotel which is located in Santa Ponsa. We booked a package deal online through Jet2 and paid £2450 for the five of for a week all-inclusive, this included one free child's place and we had paid extra for pre-booked seats on the flight and an extra £120 for a ground floor terrace room. I wrote about our holiday back in May and since writing about my holiday I have had six people contact both myself and my partner saying they have booked this hotel after seeing how much we enjoyed it, So I have been meaning to write this review of the hotel for a while. 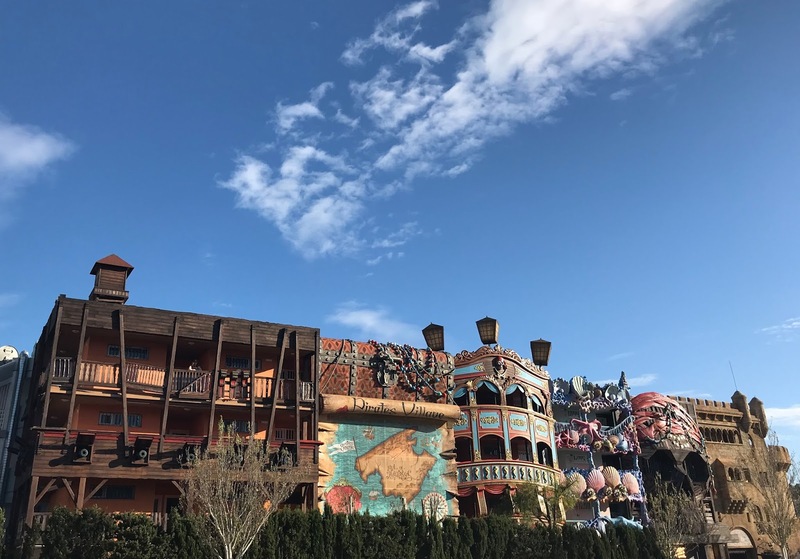 So eventually here is my review of the Pirates Village hotel in Majorca. 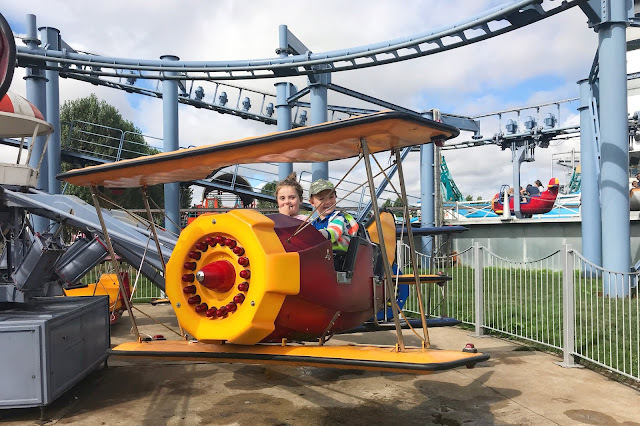 In August my little boy turned four and to celebrate we decided to have a family day out at Flamingo Land theme park in North Yorkshire. This was the first time we had taken the little two (aged four and five) to a theme park before so we were unsure if they would like the rides or not and picked Flamingoland as it also has a zoo and other things to do as well as the rides. Flamingo Land is somewhere where both myself and my partner had both visited as children ourselves and is somewhere I have taken my eldest in the past. We visited on a Sunday during August and arrived at around 10.30am, it was a two and a half hour drive from our home in Tyneside. We were expecting it to be really busy as we were visiting during the summer holidays but it was not to bad and we were through the ticket barriers in no time at all, we had already purchased tickets in advance. My 5-year-old daughter loves Hatchimals, last Christmas she got the big twin Hatchimals and some of the little CollEGGtibles which she really likes. This Christmas she has added more of the CollEGGtibles to her Christmas list as she loves hatching the little eggs and seeing what Hatchimals she will find inside. Like most children, she loves the surprise element of opening these toys, thanks to YouTube videos. 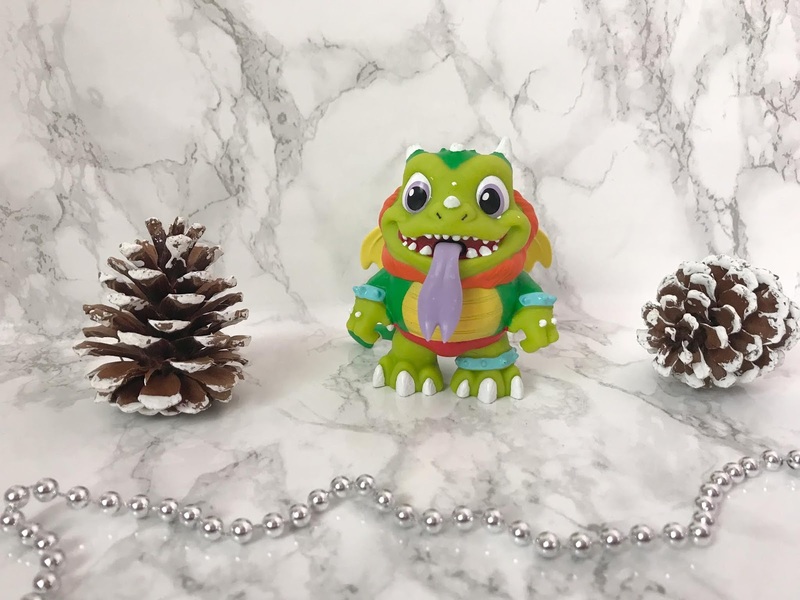 Hatchimals have a Series 3 collection out in time for Christmas with over 100 CollEGGtables to collect in this series. 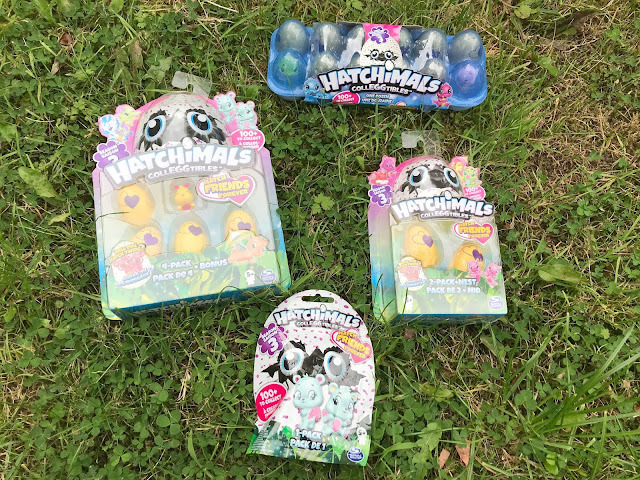 Sophia was lucky enough to be sent some Hatchimals CollEGGtibles series 3 to review from Spinmaster, she was so excited when the box arrived and could not wait to open them up and see which CollEGGtibles she would find to add to her collection. We were sent the one dozen egg carton which looks just like a box of dozen eggs, a four pack a two pack with a nest and a blind bag. As a family, we often dine out and one of our go-to places has always been Frankie & Benny's. When my eldest (now almost 16-years-old) was younger I always took her to Frankie & Benny's for breakfast or lunch during the school holidays and we have celebrated many of her past birthdays there too. 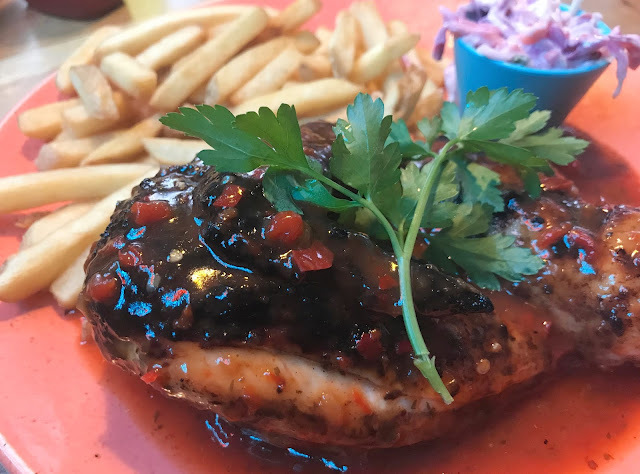 My younger children have been visiting since they were toddlers and always think it is a treat when we visit for a meal as they love the food and laid back atmosphere, perfect for family dining. 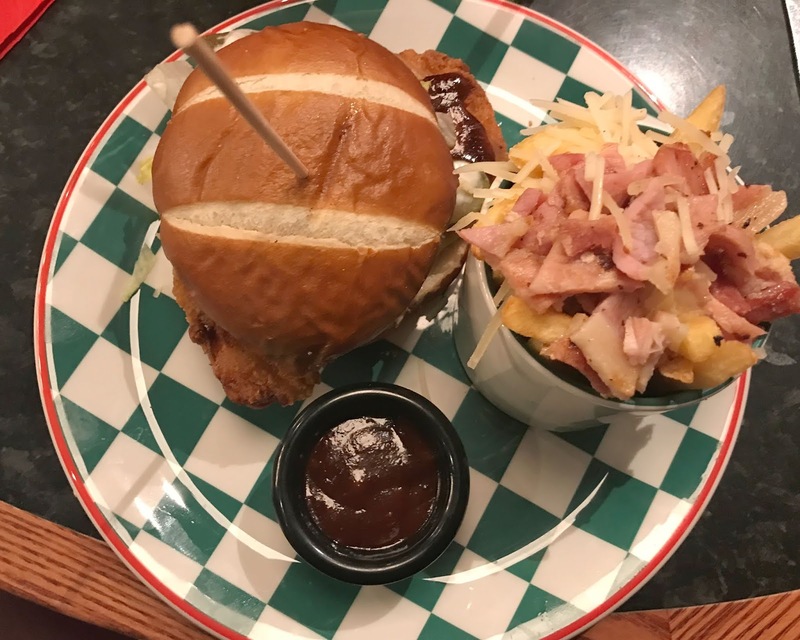 Last weekend we were invited along to Frankie & Benny's in the Metrocentre to try out the new menu and to see what we thought of the restaurant after its recent refurb. Arriving at lunchtime on a Sunday the restaurant was fairly busy, we were showing to an upstairs table and managed to bag one of the coveted corner booths. The restaurant was bright and welcoming with a more modern look since we last visited. 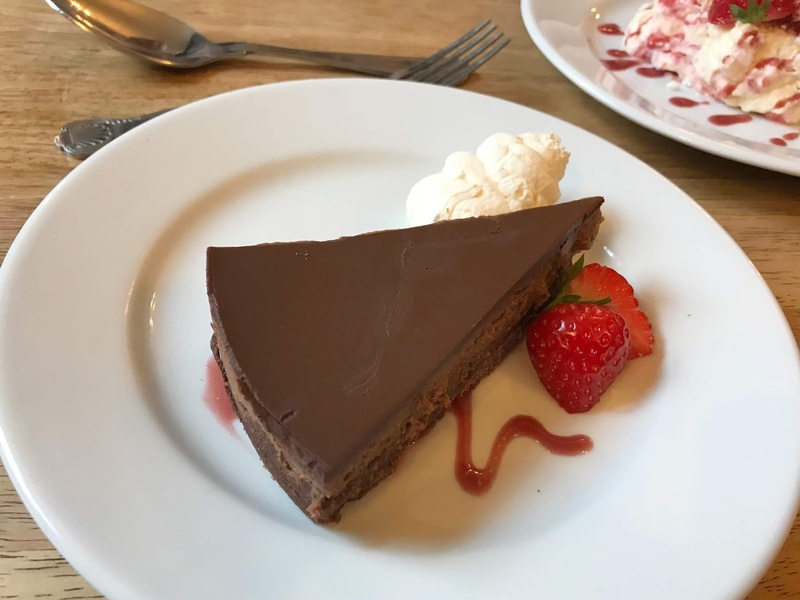 Recently my little boy turned four and as part of his birthday celebrations, we headed to our local Stonehouse Pizza & Carvery pub The Astley Arms, in Seaton Sluice. 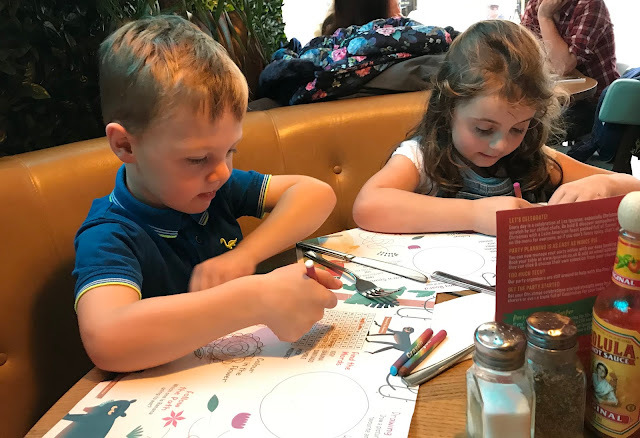 Stonehouse Pizza & Carvery have recently launched Pizza Parties which are the perfect way to celebrate a child's birthday as it is something a bit different and lots of fun and we were asked if we like to go along and try them out - perfect timing. 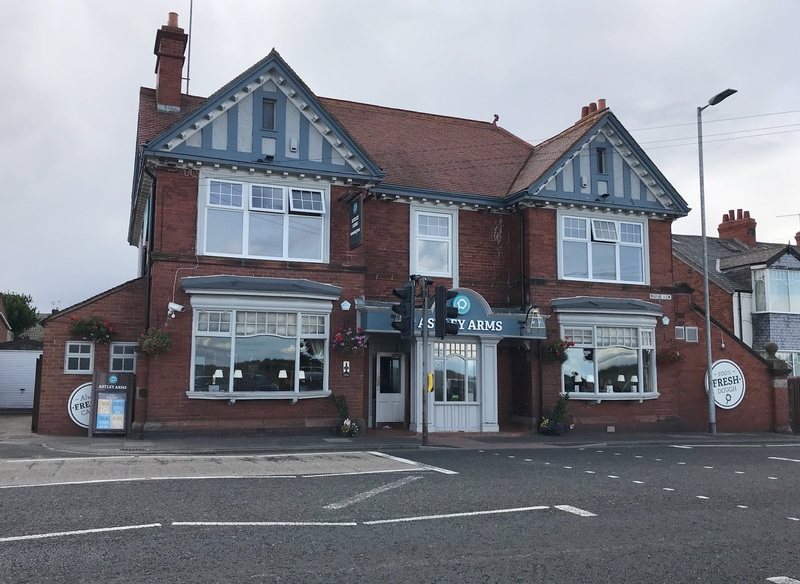 As a family, we often visit The Astley Arms for a carvery and my brother visits often for buffet breakfasts, it is a lovely pub opposite Seaton Sluice beach and play park. 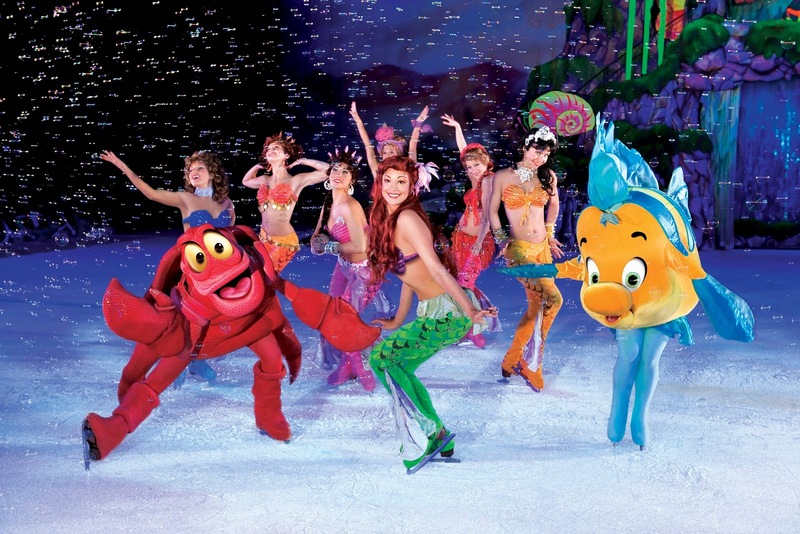 Like a lot of families, Disney On Ice is something we look forward to each year. Every year the show tours UK arenas and it is once again heading to Newcastle's Metro Radio Arena this October. 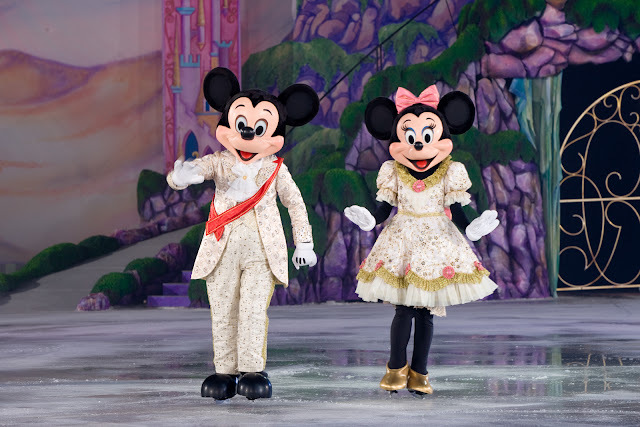 I have been taking my children to see Disney On Ice for over ten years now, I used to take my eldest when she was small and now I take my younger children who love it just as much as their big sister did. Each year the show is different and this year it sounds like it is going to be extra special as Disney On Ice presents Dream Big. This year Moana takes to the ice for her European debut and we are super excited, my children (like so many we know) are huge Moana fans. Taking to the ice alongside demigod Maui I am sure she will have the audience captivated and we can't wait to see how she manages to swap the ocean for the ice rink. It sounds like it will be spectacular and not only will the show be featuring Moana but it will also feature eight tales of courage and heart, including Frozen, Beauty and the Beast, Aladdin and Tangled.